You’ve been up half the night with your toddler, who came home from day care with the latest flu bug and can’t sleep due to a nasty cough and stuffy nose. You head to your medicine cabinet, which is stocked with all sorts of over-the-counter cough and cold remedies. But which one do you choose? Actually, the answer is none. Where do you turn when your infant or toddler has the sniffles or a cough? A recent study suggests that a natural alternative commonly found in your kitchen could provide children – and parents – with much-needed relief. The study, published in the Archives of Pediatric and Adolescent Medicine, found that parents rated honey most favorably for symptomatic relief of their child’s nocturnal cough and sleep difficulty because of a cough due to an upper respiratory tract infection. One hundred five children ages 2 to 18 years old with upper respiratory tract infections were given either a single dose of buckwheat honey, honey-flavored dextromethorphan (a common ingredient in many over-the-counter cold medications) or no treatment at all 30 minutes prior to bedtime. A dose of honey consistently scored the best while no treatment scored the worst. However, it is important to note that children under one year of age should not be given honey. Check the “active ingredients” section of the drug facts label to help you understand what active ingredients are in the medicine and what symptoms each ingredient is intended to treat. Carefully follow the directions on the “drug facts” portion of the label. Understand that using over-the-counter cough and cold medicine is only intended to treat your child’s symptoms. But remember, according to the study, a dose of honey just might prove more effective, and you probably won’t have to do much convincing to get your child to swallow it. It’s not a spoonful of sugar to help the medicine go down, but a spoonful of honey just might be the next best thing when dealing with your child’s cough. It’s Cold and Flu Season!!! 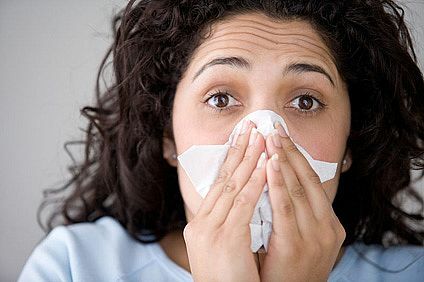 It’s cold and flu season, and the sounds of coughing, sneezing and runny noses can be heard in nearly every home, office and shopping mall across the country. But don’t run to the doctor and stock up on prescriptions just yet. Colds, flus, most sore throats and acute bronchitis are caused by viruses, and antibiotics do not help fight viruses. Your prescription medication won’t fight the virus, make you feel better, yield a quicker recovery or keep others from getting sick. In fact, because of the potentially serious side effects, taking antibiotics to treat a virus can do more harm than good. Why Are You Supposed To Get A Flu Shot? Nearly every day, I am asked about vaccinations, or “the flu shot.” My patients ask if I take them, and whether or not they should. The answer to the first part of the question is unequivically… NO! No way. Uh uh. Not going to do it. Not for me, my wife, or my kids. Not a chance in hell. But, that’s just me, and it’s based on the knowledge I have gained by researching the methods of production, the ingredients, how they work, and the risks involved. Whether or not you choose to take a “flu shot,” swine flu shot, chicken pox vaccine, or any other vaccine is a personal decision that you must make based on your own research and individual situation. However, that’s kinda the sticky part, huh? As an everyday citizen who doesn’t live, breathe, and research the health care world everyday, where are you supposed to find unbiased research? Turns out… there’s not much credible info to be found. You’ll find a thousand sources telling you they’re safe and that you should get vaccinated. But, largely, they’re just repeating what they’ve been told or read elsewhere. There are tons of articles and repeated instructions of your need to get the flu shot, but what are they basing their instructions on? Do you really think Regis & Kelly (that who’s on with him now?) have done the research? You think Oprah has read medical journals examining the evidence about vaccinations? What about the anchor on your local evening news… think they’ve spent the time it takes to review medical research? What about President Obama? Think he’s an expert on the swine flu? Okay… here’s a tough one… what about your general physician? You know… the guy who’s overbooked and spends about ninety seconds with you before writing out a script and heading to the next room. The same guy who’s trying to battle insurance companies every day for fair reimbursement for his services and expertise. The same guy who has ten phone calls to make and six reports to write to “justify” his recommendations to some insurance adjuster. Do you really think he’s spent oodles of time researching the history and efficacy of vaccinations? So… if none of them have done the research, who has, and who is telling us it’s so important for us to get vaccinated? Come on… you can say it… you’ve heard me tell you a hundred times on here… what’s it all about? It’s all about the Benjamins, baby! You know it as well as I do. Who serves to profit from vaccinations? Who wants to create a market for a new product? Who wants that product completely sold before it’s even produced? Who spends billions lobbying members of Congress and the FDA? Who spends billions on network advertising virtually assuring a lack of scrutiny or criticism? The pharmaceutical companies, of course. They make billions selling their wares to the uneducated public, media, and government. They pay “experts” to sign off on and approve research that these so-called experts haven’t participated in or reviewed… then pass it off to the public as gospel. This form of “research” and ghost writing is well documented and general knowledge. So… the only research done on these products and released to the public is done by and approved by the pharmaceutical companies themselves. Kinda convenient, huh? So where does the media get their information on which they base their vehement recommendations that you need to get your flu shots? Press releases from the very same pharmaceutical companies, of course. And with the risk of losing billions in advertising dollars, do you think the “news” divisions of these media outlets are going to question or scrutinize the information given to them? I don’t think so. Again, follow the money. If Big Pharma, Inc. that buys five billion in advertising on your network this year gives you a press release and asks, “Would you mind putting this info out for us,” do you think you’re going to refuse? What’s it cost the media outlet to have one of their commentators read that on the air? Nothing. What’s it cost them if they refuse? Potentially, five billion that the pharmaceutical company will take to another network who will push their agenda for them. Why does the government fall in line? What’d I tell you? Follow the money! The pharmaceutical industry has four lobbyists for every Congressperson in Washington. They spend every bit as much in donations to re-election campaigns as they do on advertising. Congresscritters, being in perpetual campaign mode, are easy targets. Got an election coming up? We’ve got a couple million we can divert to you… if you’ll support our issues. Look at the debacle of Medicare Part D, also known as the prescription drug plan. These idiots in Washington, under the guise of “helping seniors,” agreed to spend your tax money on tens of thousands of unnecessary medications, while also agreeing to an arrangement where they can’t negotiate for better prices! I don’t know about you, but I’ve always been under the impression that you can get better rates if you can buy in bulk. But, alas, no. Your “representatives” in Washington agreed to give your money to the pharmaceutical companies at whatever rate the company establishes as their fee. By the way, I think 95% of Congresscritters got re-elected in the last election. Interesting, huh? What about your physician? Where does he get his info? Why does he believe and recommend vaccinations. On what do they base their recommendations of “safety and effectiveness?” Well, the pharmaceutical companies also employ one liaison, also known as a drug rep, for every six physicians in the country. Their sole job is to stimulate the writing of more prescriptions. They do this by regularly visiting physicians and “educating” them about new products and how to properly prescribe, document, and bill for pharmaceutical products. They provide meals and entertainment for the doctors and their staff… every day. I know doctors who boast that they’ve not had to buy lunch in years. Big prescribers are invited to “educational” seminars in the Bahamas for their continuing ed requirements… paid for by the pharmaceutical company, of course. Ever noticed all of the pens, clipboards, notepads, etc. in your doctors office have the name of some drug on them? That’s just one more ‘thank you’ for recommending our products. Just a gift, right? Nope, you’ve just saved that office a few thousand dollars per year in office supply costs. Oh really? Where’s all that good science? As it turns out, there’s isn’t any. Flu vaccines (including swine flu vaccines) are based entirely on a vaccine mythology that assumes all vaccines work and no vaccines can be scientifically questioned. Anyone who dares question the safety or effectiveness of vaccines is immediately branded a danger to public health and marginalized in the scientific community. #1) Where are the randomized, double-blind, placebo-controlled studies proving flu vaccines are both safe and effective? Answer: There aren’t any. #2) Where, then, is the so-called “science” backing the idea that flu vaccines work at all? Answer: Other than “cohort studies,” there isn’t any. And the cohort studies have been thoroughly debunked. Scientifically speaking, there isn’t a scrap of honest evidence showing flu vaccines work at all. #3) How can methyl mercury (Thimerosal, a preservative used in flu vaccines) be safe for injecting into the human body when mercury is an extremely toxic heavy metal? Answer: It isn’t safe at all. Methyl mercury is a poison. Along with vaccine adjuvants, it explains why so many people suffer autism or other debilitating neurological side effects after being vaccinated. #5) Why don’t doctors recommend vitamin D for flu protection, especially when vitamin D activates the immune response far better than a vaccine? Answer: Because vitamin D can’t be patented and sold as “medicine.” You can make it yourself. If you want more vitamin D, you don’t even need a doctor, and doctors tend not to recommend things that put them out of business. #6) If human beings need flu vaccines to survive, then how did humans survive through all of Earth’s history? Answer: Human genetic code is already wired to automatically defend you against invading microorganisms (as long as you have vitamin D). #8) If the flu vaccine really works, then why was there no huge increase in flu death rates in 2004, the year when flu vaccines were in short supply and vaccination rates dropped by 40%? Answer: There was no change in the death rate. You could drop vaccination rates to zero percent and you’d still see no change in the number of people dying from the flu. That’s because flu vaccines simply don’t work. #9) How can flu vaccines reduce mortality by 50% (as is claimed) when only about 10% of winter deaths are related to the flu in the first place? They can’t. The 50% statistic is an example of quack medical marketing. If I have a room full of 100 people, then I take the 50 healthiest people and hand them a candy bar, I can’t then scientifically claim that “candy bars make people healthy.” That’s essentially the same logic behind the “50% reduction in mortality” claim of flu vaccines. #10) If flu vaccines work so well, then why are drug makers and health authorities so reluctant to subject them to scientific scrutiny with randomized, placebo-controlled studies? Answer: Although they claim such studies would be “unethical,” what’s far more unethical is to keep injecting hundreds of millions of people every year with useless, harmful vaccines that aren’t backed by a shred of honest evidence. Kudos to Natural News who got this article done, researched, and posted before me. They went even further with their discussion, and have links to a lot of the factual evidence backing up their answers. Don’t take my word for it; check ’em out for yourself. Now… one other question that keeps hitting me, but never receives an answer: Often, people are made to feel guilty if they refuse the flu shot because “they are putting others at risk.” If I get exposed and fight the flu virus… if the flu shot does what they say, and they’ve had the flu shot, what are they worried about and how am I putting them at risk? The Swine Flu Vaccine… History Repeating Itself? This video was broadcast once, and was subsequently squashed. Interesting that none of this is being discussed. Fear is again driving the issue. All over the media, you are being pummeled with dire warnings about the swine flu and how dangerous it is. What you’re not hearing is that a majority of experts admit that the swine flu is actually a fairly mild form of the flu. In fact, many have stated that it is less invasive and dangerous than the traditional seasonal flu. In this article, we’re going to discuss some of the actual things you can do EASILY to fight colds and flu naturally. In the last couple of articles (Part One, Part Two), we talked about the fact that antibiotics don’t kill viruses; and we also talked about how to differentiate between viral and bacterial infections. Taking antibiotics to fight a viral infection is like urinating in a fan to take a shower… it may feel like you’re helping, but you’re just making things worse! Take extra Vitamin C – If you’re healthy and not at risk, 500 mg is usually a good daily amount to shoot for. However, during flu season and/or if you’re at risk of exposure, you can bump this amount up to 2,000-3,000 mg per day. This vitamin increases the production of white cells and interferon, an antibody that stops viruses from entering cells. Eat garlic – Garlic is antibacterial, antiviral, antihelminic (anti-worm), antifungal, and anticancerous. It’s good… eat it regularly or take a quality supplement. Probiotics – These are the “friendly” bacteria that are normally present in the digestive tract. They serve multiple purposes including warding off invading bacteria and properly digesting your food for improved absorption of the nutrients you are eating. Drink lots of water – Water is the fluid of life. During an illness, there are tons of toxins and wastes that your body is trying to get rid of. Your body must have an ample supply of fresh water in order wash out these harmful substances and to carry good nutrients and immune cells to the sites of infection for battle. If you aren’t drinking enough water, it’s like flushing a toilet with the tank empty… you can’t get rid of the waste, and things just get more and more dirty. Stop eating sugar! – Not only will sugar feed the infection, but it reduces the effectiveness of white blood cells (your “killer” cells) for up to three hours after ingesting it. Double whammy negative. Zinc – This nutrient is essential to optimal operation of the immune system. At the first sign of infection, take Echinacea – This Native American herb has long been valued for its antibacterial, antiviral, and antifungal properties. Studies indicate that it can stimulate production of immune cells. To make sure you’ve got a good quality source, put some on your tongue and you should feel a slight numbing sensation. No tingle… no good. Get plenty of rest – Simply speaking, if you’re using all of your energy and fuel on daily activities or work, you have less energy that your immune system can use to fight off illness. Avoid dairy products and red meat – These can actually increase mucous production and worsen clogged sinuses. Avoid coffee, alcohol, and smoking – These are all well known to decrease immune function. Sip Ginger tea – This is a warming herb that soothes the throat, and aids circulation. It helps cleanse the body and increase perspiration which can help with fever. Humidity helps – Infections and viruses thrive in cold, dry environments. Stay warm and increase the humidity of your environment. Sleep in a closed room with a humidifier or vaporizer running. Take hot, steamy showers. If you’re feeling dizzy and don’t feel safe standing in the shower, close the bathroom and run the shower on hot while seated nearby… sit back, relax, and breathe the steam in through the nose if possible. Ease sore throat pain by drinking hot herbal teas – Ginger, peppermint, marshmallow (the herb, not the sugar puffs), or slippery elm all make good herbal teas when you’ve got congestion and/or a sore throat. One of my favorites is strong green tea sweetened with a little honey and one drop of organic peppermint oil. Eat something spicy – horseradish and cayenne are good for loosening the sinuses, increasing circulation, and increasing perspiration. Again… warming herbs. Eat warming foods that are easy to digest – Like chicken noodle soup or other broths. And you thought this was just Gramma’s solution. Turns out Grandma was a pretty smart old bird. Want to make them even better tasting and more effective? Season them with cayenne, garlic, or ginger. Wash, cleanse, clean – This seems like a no-brainer, but often we don’t take it far enough. Wash your hands regularly; especially if someone else in the house is sick. Change and wash the sheets on the bed and pillowcases. Disinfect the bathrooms and kitchen. Use a new toothbrush. Wash the throw blankets on the couch. Etc. Think about all of the different things you come in contact with that can harbor bacteria or viruses even for a short time (computer keyboard, mouse, telephone,… everything). Clean these things regularly to avoid re-infection. So, let’s wrap it up and recap. One more time… antibiotics don’t kill viruses. Stop demanding or rushing to antibiotics every time you feel a sniffle coming on. 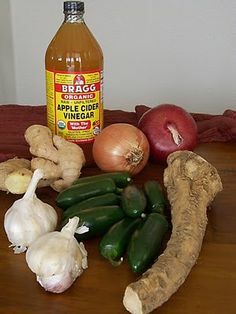 Most infections can be fought off naturally. It’s what your body’s immune system is designed to do. One of the best things about boosting your immune system and fighting colds and flu naturally is that your body develops antibodies that stay in your system to increase your immunity the next time you are exposed to a virus or bacteria. This means you are less likely to succumb to an infection or illness if you come in contact with it again. If you have any further questions, please feel free to comment here or send me an email. Good luck, and stay healthy! Bacterial or viral? What’s the difference? First the basics: Bacteria are live cellular organisms that can reproduce and survive on their own. They reproduce by cellular division similar to the process our cells go through. There are millions of species of bacteria. Some are harmful, and some are not. In fact, tons of bacteria are already in, on, and around us. Our body regulates their growth and population through the normal operation of the immune system. Most are harmless, and can actually play a vital role in a few bodily functions. However, some bacteria can be very dangerous if left untreated. Often, bacterial infection and illness is caused by normal bacteria located in abnormal places, or growing out of control due to a weakened immune system. On the other hand, viruses are non-living organisms that are basically little packets of genetic material. Viruses must have a host organism to invade and attack. Once inside the host cell, the virus takes over the internal function of the cell and uses it to produce thousands more genetic copies of itself. This is how viruses reproduce. Most often, the host cell is destroyed and the thousands of new viruses go out in search of new host cells. In general, viral infections tend to be more broad (multiple areas affected), while bacterial infections tend to be more localized (single area affected). Viral infections are most often associated with low-grade fever, but can cause a higher fever (up to about 102 F) for a couple days at onset. Bacterial infections are more often associated with high-grade fevers, especially those that rise above 102 F or last longer than two days. Mucous in viral infections tend to be yellow-colored, while bacterial infections are generally associated with green-colored mucous. A sore, red throat is probably viral. However, if there are white patches on the areas of the tonsils, it’s probably bacterial (or fungal). Rashes associated with viral infection tend to cover large areas or the whole body, while those associated with bacterial infection may look more like an isolated spot or group of spots (like diaper rash). Until then, keep this in mind: Most infections can be treated naturally and don’t need antibiotics, vaccines, over-the-counter medications, or other poisonous pharmaceutical intervention. We’ll talk about how to treat them next time, but let me be clear… there are also times when medical intervention is absolutely necessary, and sooner rather than later. Get to the hospital, emergency room, or doctor’s office immediately if you experience any of the following symptoms/signs: sudden onset of fever above 104 F; persistent fever above 102 F for more than three days; persistent vomiting and/or diarrhea causing dehydration; delirium or confusion; severe headache and vomiting; sudden unexplained stiffness in the neck; or seizures. Okay? You got it? If you are fighting a viral infection, taking antibiotics is like airing up the tires when your car is overheating. Think about it… airing up the tires has nothing to do with an overheating engine. However, when you stop and turn off the engine to air up the tires, it can take long enough that the temperature comes down. Therefore, some would argue that airing up the tires cooled off the engine. What a crock, right? When you take antibiotics for a viral infection, you consciously admit that you are sick and are fighting an infection. In response, you drink more water, get more rest, limit intake of sugars and dairy, and eat a more bland or subdued diet with fiber and liquids. Within three to seven days, you start to feel better and… claim the antibiotics got you well??? Know what the average natural lifespan of a viral infection is?… Three to seven days. So, your body did what it was supposed to do. It produced more white blood cells, pulled the viruses into the lymphatic system (swollen lymph nodes? ), killed them off, and is washing them out. The antibiotics had nothing to do with it. Know what the antibiotics did do? They killed almost all of the normal, natural bacterial flora in your digestive tract. With fewer bacteria in the digestive tract, there is nothing to keep the fungus/yeast in check, therefore you are apt to develop a yeast infection. (Sound familiar, ladies?) With abnormal balance between bacteria and fungus in your intestines, you don’t digest and process your food optimally. (Diarrhea or constipation, anyone?) Now that you’re not getting nutrients from your food, you’re fatigued and your immune system is depressed. With a depressed immune system, it takes your body longer to fight off the viral infection for which you originally took the antibiotics. Then what? Now you’re so down, your body succumbs to a true infection from bacteria that is present in your body all the time… but is usually kept under control naturally. Enough of the strongest little buggers survive the first round of antibiotics, therefore, only the strongest and most antibiotic resistant bacteria live on to cause new illness. How do we treat this? With more antibiotics, of course! It’s no wonder we have growing fear about antibiotic resistant infections. We’re now stuck with a massive scare tactic where the vaccine is more dangerous than the illness… and people are fighting for the shot! Can you believe it? The doctors won’t give this vaccine to themselves or their family, but the media is set on convincing you it’s necessary. Why? As I’ve always told you… follow the money. Who are the biggest purchasers of advertising on TV and news programs? … That’s right… the pharmaceutical industry. Don’t demand antibiotics from your doctor. They won’t help treat your infection. Don’t take an antibiotic for a viral infection like a cold, cough or the flu. More on how to tell the difference between a viral and bacterial infection in the next article. Also, how to decide that you’ve tried natural remedies long enough and it’s time for some pharmaceutical help. Until next time, take care. (HealthNewsDigest.com) — Dr. Cass Ingram, author of the book Natural Cures for Killer Germs and one of the world’s foremost experts on medicinal spice oils, says the flu vaccine has its downside. First of all, he points out that the vaccine may not be the correct strain. Because viruses can mutate so quickly, the strain you were vaccinated for may not be the one going around the office. Secondly, vaccines lower your immunity to bacteria and viruses other than the strain you were vaccinated for, so you are more likely to get what’s coming around. Also, vaccines cause incredible stress to the immune system, using up to 70% of your body’s immune reserves, whereas fighting the flu without vaccination uses only 4-7% of immune reserves. And, in addition to the more common side effects of the vaccine, such as soreness, redness, and fever, you also run the risk of neurological disorders, including Guillain-Barre, paralysis that has been associated with the pneumococcal vaccine. “Before you decide to get the vaccine, read the small print,” says Dr. Ingram. The small print on Fluzone, Squibb Connaught’s influenza virus vaccine, under the section on warnings, states that this vaccine interacts with anticoagulants, theophylline and anti-convulsants. It also states that if jet injection is used, special precautions must be taken during sterilization to prevent the transmission of hepatitis or other infectious agents. Also, neurological disorders such as encephalopathy (brain damage) have been linked to this vaccine. These reactions can begin as soon as a few hours or as late as two weeks after vaccination. You also will learn that when the doctor or his nurse brings in the tray for your injection, the tray should be carrying two syringes–the second containing adrenalin, in case you go into shock from the vaccine. So what can you do to prevent influenza without being vaccinated? 1. Garlic- It both kills germs outright as well as inhibits their growth. It also strengthens immune defenses, aiding in the ability to hunt and destroy invaders. 2. Ginger- It has powerful “pharmaceutical” properties. It is anti-infective, anti-parasitic, and anti-inflammatory. 3. Papaya – The only fruit powerful enough to make the list of germ killing foods. It’s actually the enzyme within the fruit, specifically within the seeds, that is the killer. 4. Radishes – Mostly neglected as anything other than a garnish, this vegetable contains sulfur compounds which are significant antiseptics. 5.Yogurt – A major aid to immune health. It provides essential amino acids which are used by the body to produce components of the immune system, such as white blood cells and antibodies. 6. Oregano – Lab tests have proved that this spice kills all types of germs, including bacteria, viruses, fungi, yeasts, molds and parasites. 7. Allspice – When tested at Cornell University it killed a wide range of bacteria. 8. Cinnamon- This spice contains significant antibacterial properties and is especially aggressive against molds and yeasts. 9. Things that harm your immune system include alcohol, smoking, sugar, and caffeine, including chocolate. To beat the influenza bug, Dr. Ingram also stresses the importance of a good diet, exercise, and proper sanitation such as washing your hands and keeping your home and office desk clean. 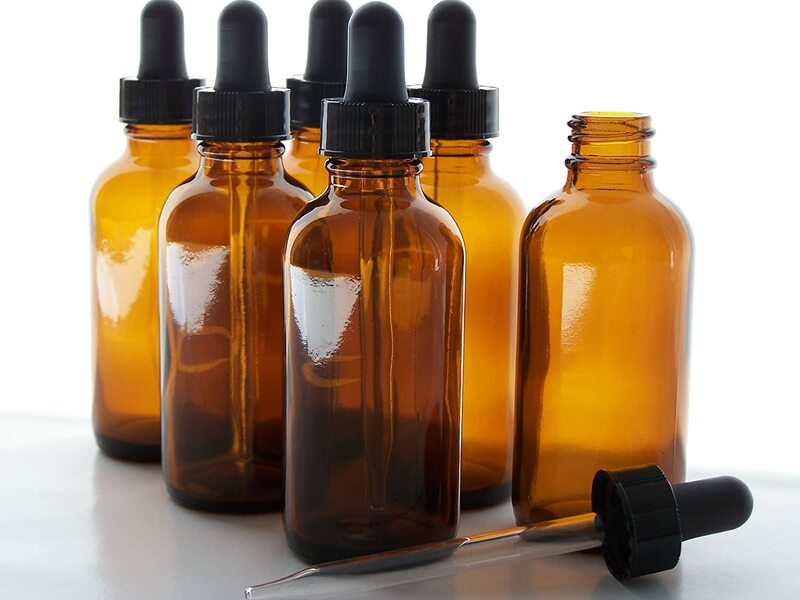 Dr. Ingram is one of the world’s leading experts in natural remedies and the antimicrobial effectiveness of wild oregano and other spice oils. He holds a Doctor of Osteopathy degree from the University of Osteopathic Medicine and Health Sciences and is the author of 15 books, including How to Eat Right and Live Longer, The Cure is in the Cupboard, and Natural Cures for Killer Germs. His books teach people how to strengthen their immune systems.